ONE FREE BEACH CRUISER BIKE RENTAL PER UNIT, PER PAID NIGHT STAY. Cruise The Beach In Style Year Round! Big Fish Bike Rentals is the best way to see 30A! Hop on the wonderful scenic bike path that stretches the entire 18 mile length of Highway 30A and enjoy the beautiful sights of Grayton State Park and views of the Gulf while peddling through iconic neighborhoods. Reservation must be booked through Xplorie. Noncumulative and nontransferable. Unused admissions expire daily. Must present Xplorie card and photo ID to redeem. ONE FREE ROUND OF GOLF PER UNIT, PER PAID NIGHT STAY. Fun Fore! All, Year Round! Bluewater Bay is a championship golf course with three different nine-hole courses that are mixed & matched throughout the week. The courses available are the Bay, the Marsh, and the Lake. The courses stretch along the shoreline of the Choctawhatchee Bay, then through the southern woodlands, to pristine wetland areas. Collared shirt, Bermuda length shorts, soft spikes or tennis shoes. No denim, tank tops, flip flops, beach wear, ect. Hit The Green Year Round! Emerald Bay is a prestigious golf course community centrally located along the shores of the Choctawhatchee Bay between Destin and the Beaches of South Walton. Destin has long been a vacation destination known for superior golf courses and that tradition is exemplified in the beautiful Emerald Bay Golf Club. Collared shirt, Bermuda length shorts, and soft spikes only. The Golf Garden of Destin is a Par 3, nine-hole executive golf course. It is a short layout of 1,591 yards with three sets of tee boxes. Night golf is available Memorial Day to Labor Day with a lighted course. Escape To Golfer’s Paradise Year Round! Since opening in March of 1998 Regatta Bay has quickly established themselves as one of the “must stops” in the Florida panhandle. In their first season they earned the #1 ranking not only in new golf courses but of ALL COURSES in the Northwest Florida region by Florida Golf News. Regatta Bay is a Par 72, 6,894-yard course on the shores of the Choctawhatchee Bay. Whether you are a scratch golfer looking for a challenging layout, or a weekend golfer looking for a relaxed round with highly manicured surroundings and breathtaking views, this is the course for you. No denim, tank top, flip flops, ect. Personal coolers are not allowed. Swing Into Fun Year Round! Selected as a Readers Choice by Florida Golf Magazine, Santa Rosa Golf & Beach Club is the only course in the Destin, Florida area that has two holes back up to the Gulf of Mexico. With seven sets of tees, every type of golfer has a fair chance at conquering the course. Collared shirt, Bermuda length shorts, soft spikes only. ONE FREE HALF-DAY PADDLE BOARD RENTAL PER UNIT, PER PAID NIGHT STAY. Paddle Your Way To Paradise Year Round! Explore our beautiful emerald green waters and enjoy observing the amazing marine life with Reef Beach’s top quality paddle boards. Paddle boards are picked up at Reef Beach Services & Rentals. Guests are only allowed to take boards across the street to Beach Access #13. Cannot transport boards on personal vehicles. Guests will have to sign a release of liability form prior to rental. 12 ft stand up paddle board (YOLO board) with paddle. 1. Does ‘per unit’ mean everyone in our unit gets to go for free? Guests receive one complimentary admission per service, per unit. You can go free every day but only one guest per day. Additional guests pay full price. 2. Does ‘per paid night’ mean that since we are here 5 nights we can use 5 free passes on the same day? 3. I checked in two days ago. Can I use those free passes today? 4. We have multiple families. Can I add names to the Xplorie Card? Yes. 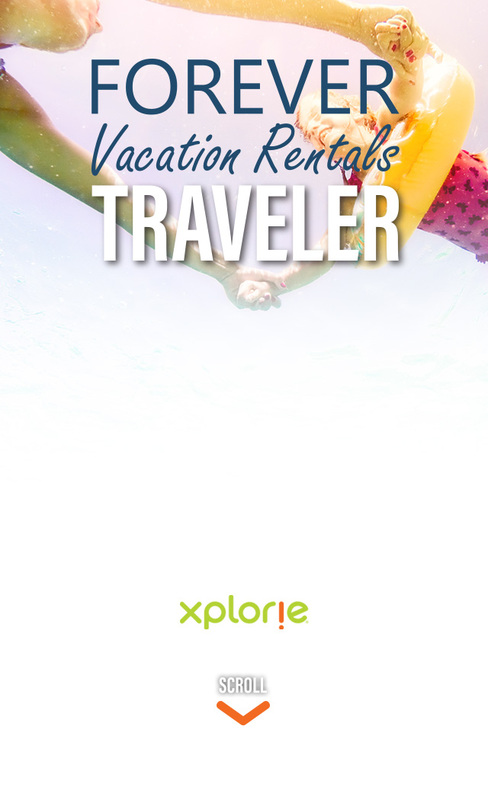 Xplorie Vacation Specialists can issue Xplorie Cards, by email, with additional names. Guests may request by clicking “Book Activity” from mobile platform. Offers are valid for one free admission per unit, per paid night stay, not per card. 5. Why do you have to have a credit card if it’s supposed to be free? The credit card is only required to hold the reservation. The only way it would be subject to charge is if you are a no-show or fail to cancel a minimum of 24 hours in advance. 6. The card says Jones on it, but my last name is Miller. Can I use it? Up to two (2) last names may be allowed on the card. 7. My son wants to redeem the free admission, but he’s only 16 years old. Can he use the activity program? Unfortunately, due to liability reasons, you must be 18 years or older to use the activity program. 8. If I make a reservation directly with an attraction (activity provider), can you convert it to a complimentary admission later? In order to receive your complimentary passes, all reservations must be made through Xplorie. 9. I don’t want the free passes. What is my price without them? 10. When I text in my keyword it replies that the keyword is invalid? Sometimes phones will auto correct when texting. Please double check the keyword’s spelling prior to selecting send. 11. Can I share the link I receive or have multiple people in my party text in? Yes! The Mobile Platform’s purpose is to provide guests with information on the great offers provided, however free passes are one per unit, per paid night stay. All offers are per unit, per paid night stay. This offer is not valid with any other coupons or discounts. All offers cover one guest only. Age restrictions may apply. As longtime vacation specialists, we love helping create those best-in-life moments for our guests, and together, we hope to create yours! Keep up with everything Xplorie!